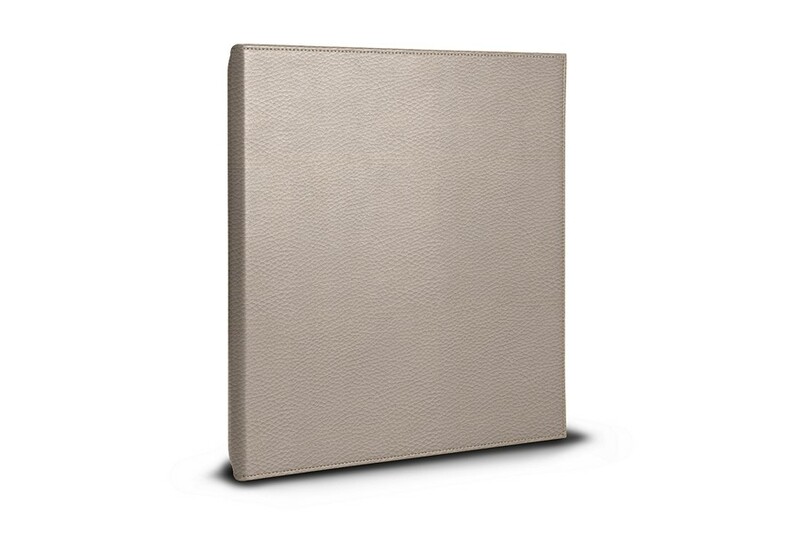 If you are looking for an A4 ring binder that is both classy and practical, you will surely not find a better one than this product of our catalogue. 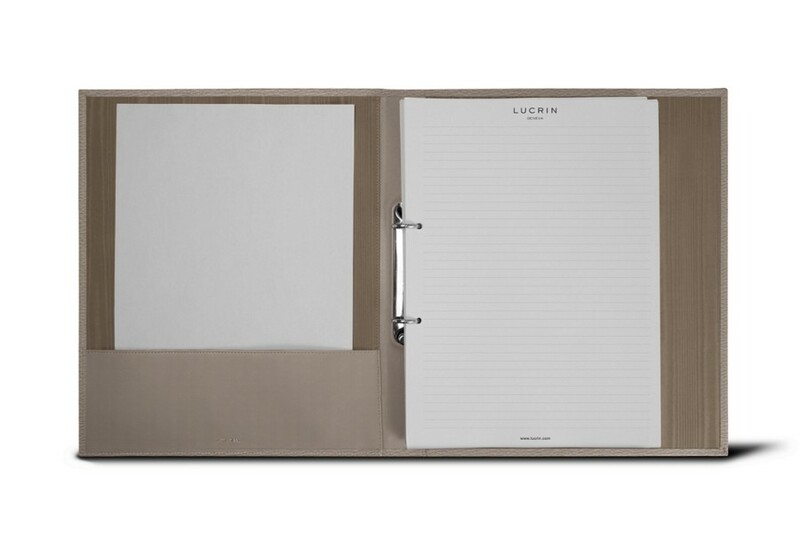 Made in authentic leather by Lucrin’s finest artisans, this rigid leather binder has 2 round silver-coloured rings which hold together your document of A4 size. 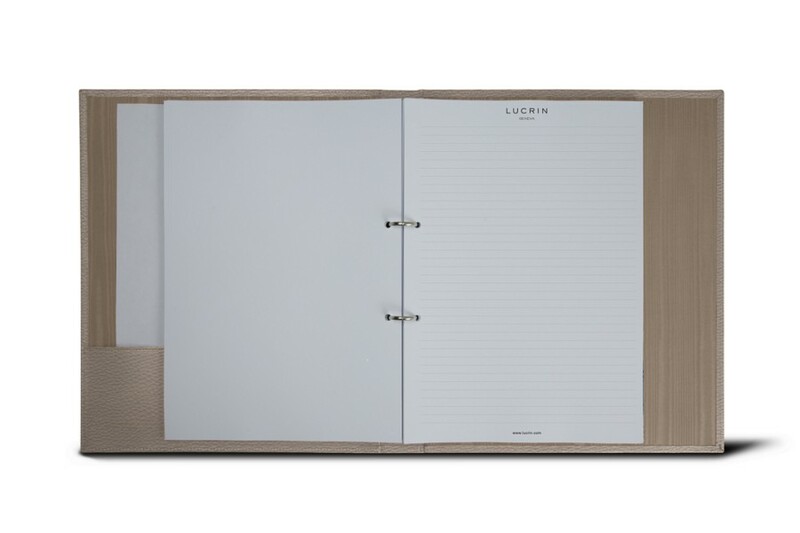 On the left-hand side, you have a flat pocket (9.8 x 3.3 inches) that can be really useful to slip in other important documents or papers.